These Motorised Sliding Gates are works on a simple but effective mechanism by sliding on the either side of the opening. 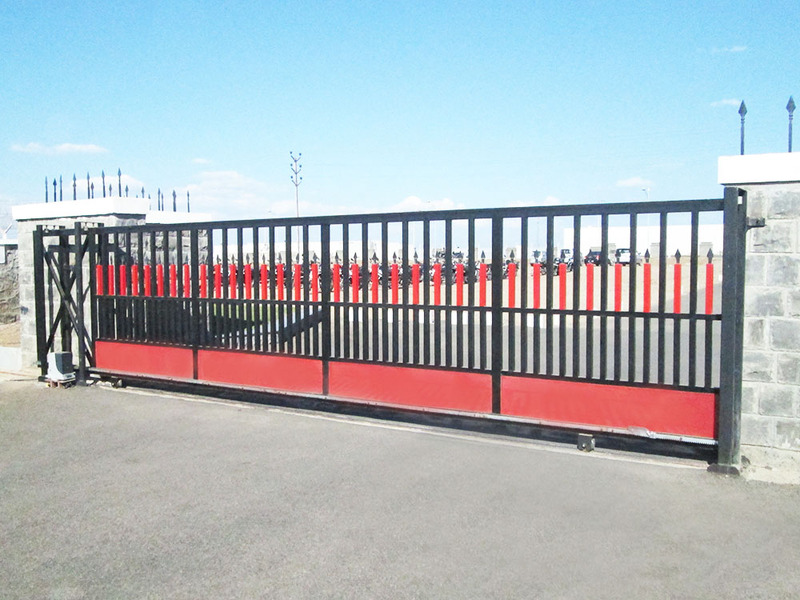 Tested graded steel are used for the manufacturing of these Sliding Gate & thus the sling gates is strong to protect your premises from an unauthorized access. Own Design & In-House Manufacturing process. Avians automatic motorised sliding gates come in various patterns and designs as per a customer’s requirements. High quality CNC finish top and bottom rollers. Heavy duty and smooth operation bottom track Imported robust electrical motor and controls. These electric devices actually enable the electric gate to open and close without having to manually push the gate. Electric sliding gates guarantee a completely secure environment with electric locks. Control to stop anytime while gate is moving. Various safety devices are available to make sure that our gates meet the highest safety standards. Works on Precise machine cut toothed pinion along with galvanized rack arrangement. Bottom rail made up of polished bright bar which is supported by heavy duty I-beam. Top Nylon guide rollers with bearings are used for smooth operation & to guide moving Leaf. 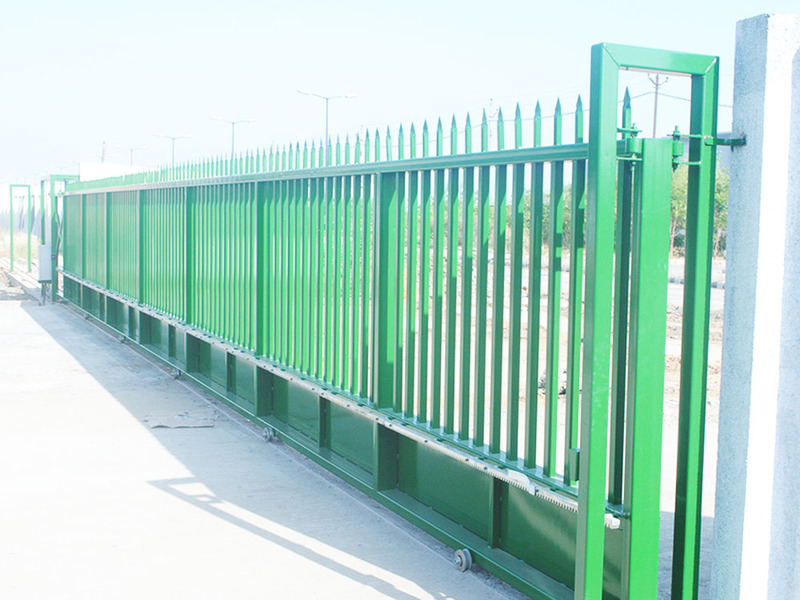 Sand blasting, hot deep galvanizing process, painting can be provided. Guide Rollers Nylon Rollers with bearings both side mounted on column for support & smooth movement of gate. Ornamental Designs On Request or as per client design. Any type of Customized Design can be made on request.